Computer – Social Media – Servers. Did these words give you anxiety? If so, you may be afraid of technology. Technology isn’t something to be feared but something to be embraced. Technology has proven to make our lives easier on so many levels. Yes, it is a change. Yes, it’s never going to be the same and yes, technology will change the minute you get used to it. 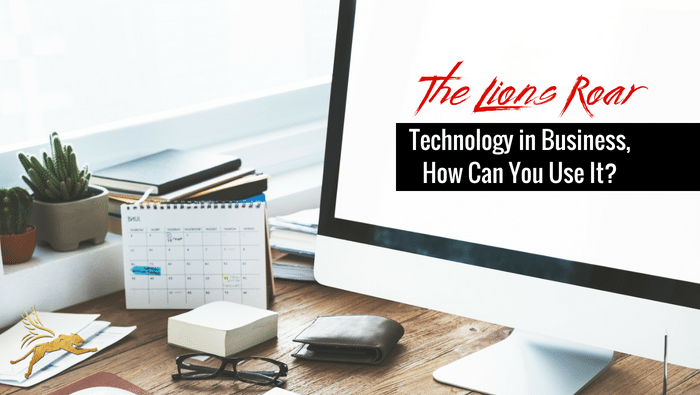 The trick is to understand how technology can benefit your business. Using technology properly will give you more knowledge and perhaps an edge to stay ahead of the technology itself, and your competition. Business efficiency and productivity are also greatly impacted by technology. Automation in businesses is how entrepreneurs are able to get things done quickly and keep it affordable. Instead of paying an employee X number of hours to complete a task, there’s now a software program that can do it. Imagine if we were still using manual labor in factories to create products like we did in back in the 1900’s. Not only would our products be of a lower quality, but they wouldn’t be produced as quickly. Now there are robots who can complete these functions in a much quicker time frame than we can and do it flawlessly every time. Technology has not only effected warehouses and factories but also industries such as customer service and administrative support. You can now get support for your business from people who aren’t even in your country. This can drastically reduce fixed overhead expenses of an office. More and more businesses are moving towards the virtual office space. Communication has greatly changed due to technology in business. Whether you’re a small business owner or an enterprise, you will at some point need to communicate nationally and/or globally with your clients. Most people have adapted to using email, even when it comes to sending documents — which can be signed electronically, too. Entrepreneurs can also communicate through video calls, which allows you to conduct business while seeing your clients or team on screen via your home or office computers. This allows companies to penetrate new economic markets and expand on a global scale. Technology has also shaped the way reporting and analytics are gathered and sent to businesses. Businesses can improve their management systems, capturing specific information from their analytics to use in business decisions. You can easily review data entry functions an automate your reports which increases efficiency in your business. Sales and service departments in business have seen a huge surge in productivity and revenue from the use of technology. Employees can transfer data between the office and their own personal electronic devices. Creating an opportunity for employees to work from home if needed or more engaged to just want to. Using electronic devices with your employees or even clients shortens the lead time you spend on delivering goods and services. If you can effectively utilize this technology you’ve created an instant competitive edge in your industry. You can also penetrate multiple markets with a lower overhead cost. What are some tools you can use to start making your business more productive? The design of your website can increase your productivity or decrease your productivity. It’s important to use the right tools for your business that will get you results now. When it comes to building a website I suggest using the WordPress platform. The WordPress platform provides many customization options and plugins to help get your desired results from a website. The easiest and most professional builder tool I suggest is Divi Builder. Divi uses either a visual block setup to design your website or a back-end interface block setup. Utilizing these tools is the best way to start building your website. 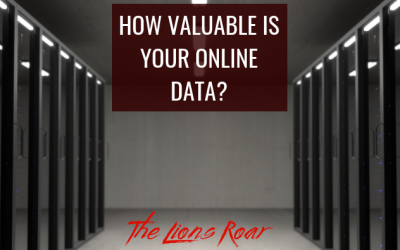 The security of your website is crucial to protect any personal and outside data along with your brand Identity. If a hacker gains hold of your website, they can do irreparable damage to your business. My suggestion for a WordPress user is to install the Wordfence plugin. This is a free plugin with the option to upgrade for additional features. The free version gives you more than enough of what you need to start. Wordfence will create a firewall based on your current website settings and alert you of any issues found during virus scans. It will also advise when your website is needing an update to its plugins or themes. When it comes to social media it’s difficult to ensure you’re posting consistently and at the right time. Socialpilot.co is an excellent tool that will help schedule your posts on Facebook, LinkedIn, Twitter, and other platforms. This tool will allow you to either post right away, schedule a post for a specific time, or schedule the post for the best time based on the algorithms of the platform you’re scheduling on. This can be an important tool to utilize with your social media marketing strategy. 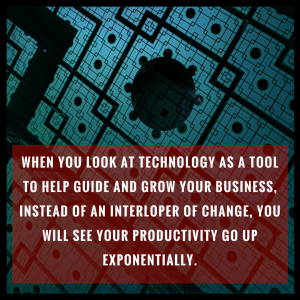 When you look at technology as a tool to help guide and grow your business, instead of an interloper of change, you will see your productivity go up exponentially. Utilizing the different communication and analytic/reporting programs allows you the ability to expand your business, and fix issues at the core quickly. Saving yourself time by utilizing scheduling programs also increases productivity. Utilizing these programs effectively can also increase your revenue and brand awareness. Now how can you be afraid of tools that will help you? Utilize these tools and understand how they work to effectively manage and grow your business.